FIRST TIME IN PRINT! The light-and-darkness duo returns! 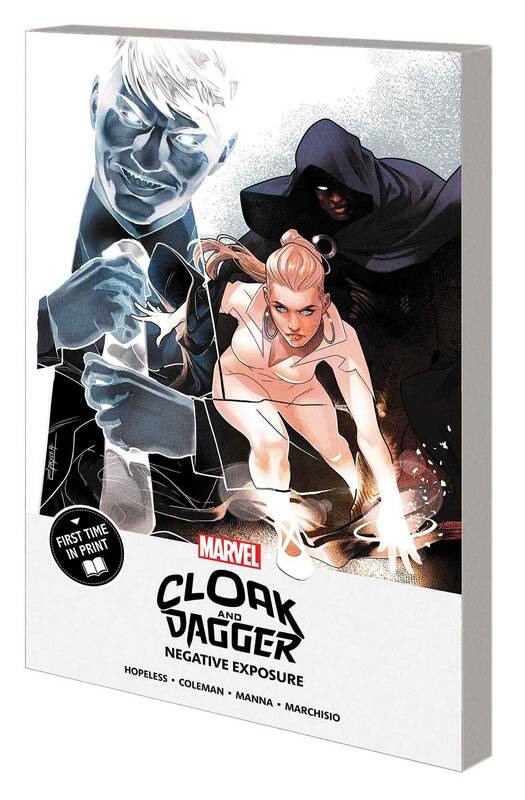 Cloak and Dagger may be back together, working as super-powered police consultants, but Tandy and Tyrone are another story. With both involved in new relationships, will the tension of each watching their ex with someone new break apart their newly re-formed team? Meanwhile, something strange is happening in L.A.'s underground reservoir system - and when Dagger goes to investigate, she finds herself face-to-face with an old nemesis. Mister Negative has returned, and he plans to stretch Cloak's powers to their physical limits - and summon an eldritch Darkforce god to Earth! Can Cloak and Dagger protect L.A. from the Devourer? And can they admit their true feelings for one another before darkness consumes them both? Rated T+.